The staff was extremely friendly. The rooms were comfortable and the view was wonderful. Easy access to the beach, port and old town. We loved the princess Parga! The staff was AWESOME! Very helpful. We had a big "van" and they even offered to help us park if needed. Every time we interacted with them they were so friendly and helpful. Rooms were pretty new and very clean. The property was really nice. They had a delicious breakfast in the morning and a shuttle down to the shops and restaurants. The views were spectacular! Would definitely come back. :) Thanks for a GREAT time!!! Everything was perfect. The iew from the balcony was breathtaking. The owner was informative, polite and helpfull. No flaws whatsoever. Amazing view. Very clean hotel. Very friendly staff. The staff were very helpful driving as to and from places and helping us with beach towels that we needed to borrow . The hotel was lovely and clean and the rooms were clean and homely with kitchen area. The breakfast was so varied that we had it everyday in the end. Would definitely go back. Staff are really friendly and helpful. O and pillows are comfortable! Well prepared and professional staff, very helpful. Costas from the reception made our vacation wonderful by giving us precious advices about where and how to sped our days there in order to see and enjoy everything. 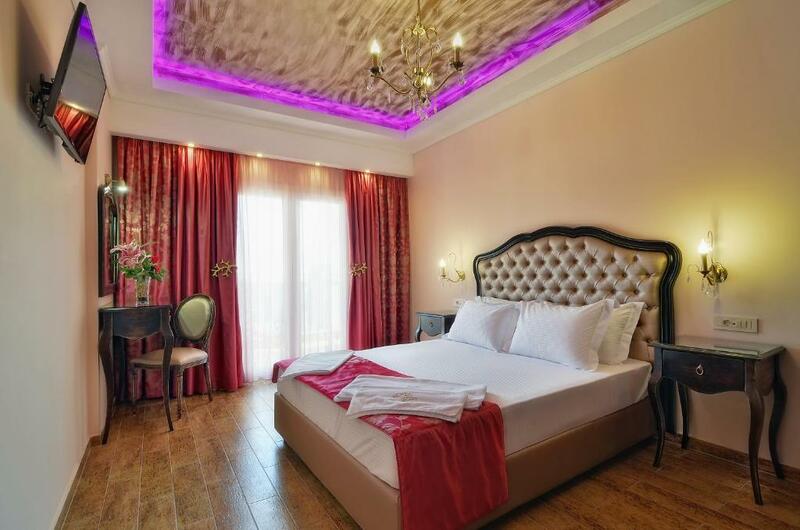 The hotel is very clean with luxury rooms, very comfortable also. They have also a shuttle, which is gratis, who takes you from the hotel to the town and backwards. Breakfast very ok. It was a perfect stay. Perfect location to be away from the 'biz' of Parga. Liked the return bus after dinner, although not used. Very friendly staff. All was very beautiful. I recomand. Lock in a great price for Hotel Parga Princess – rated 9.4 by recent guests! One of our top picks in Parga.Just 1,300 feet from Valtos Beach and 1,650 feet from the castle of Parga, the Parga Princess Boutique hotel enjoys exceptional views of the sea, Paxos and Antipaxos Islands. It offers free Wi-Fi and wired internet access throughout. 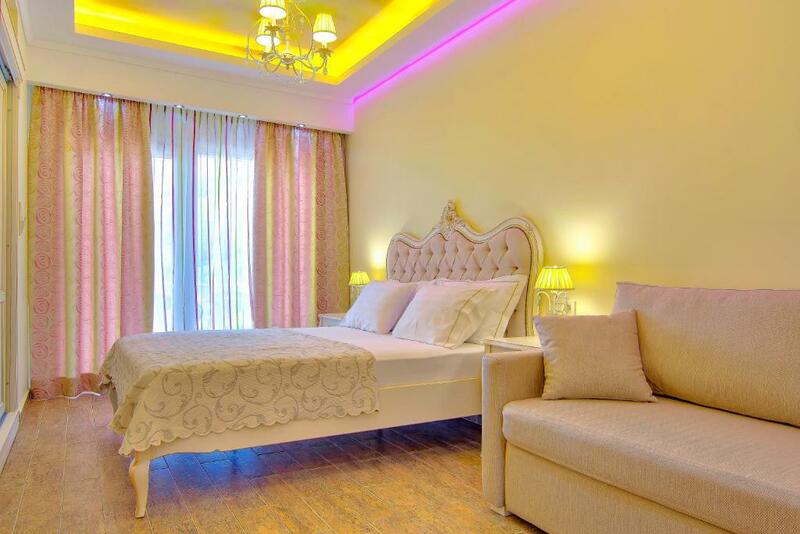 The hotel features luxuriously appointed guest rooms each uniquely decorated, and all including air conditioning, TV, kitchenette, mini-bar, hairdryer and bathroom amenities. Its public areas include a lounge room and terrace where guests can enjoy a cup of coffee and the garden and the sea views. Guests have free access to a swimming pool 350 feet away, while lunch and dinner can be enjoyed at a restaurant 650 feet away. The property can arranfe 2-way transfer from Aktio Airport and Igoumenitsa Port for stays of 7 nights or more. Free transfer from Valtos Beach and the center of Parga is also provided. 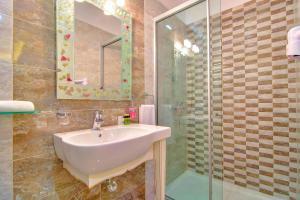 뀐 Located in the top-rated area in Parga, this property has an excellent location score of 9.0! 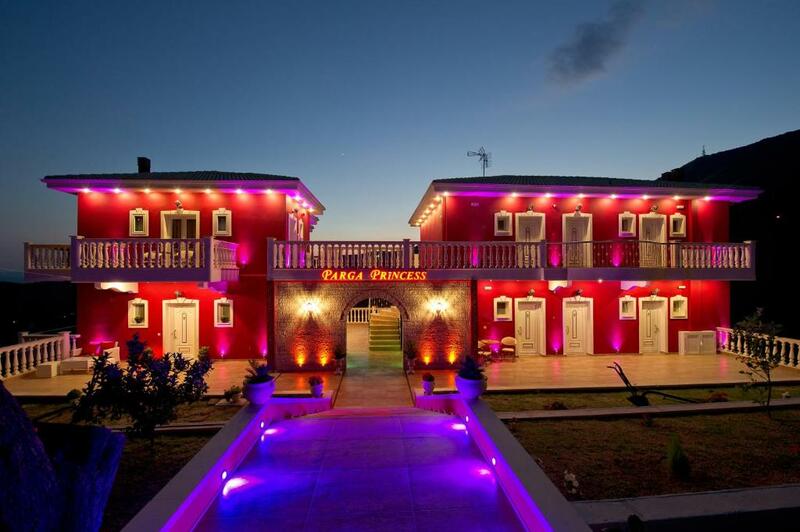 When would you like to stay at Hotel Parga Princess? 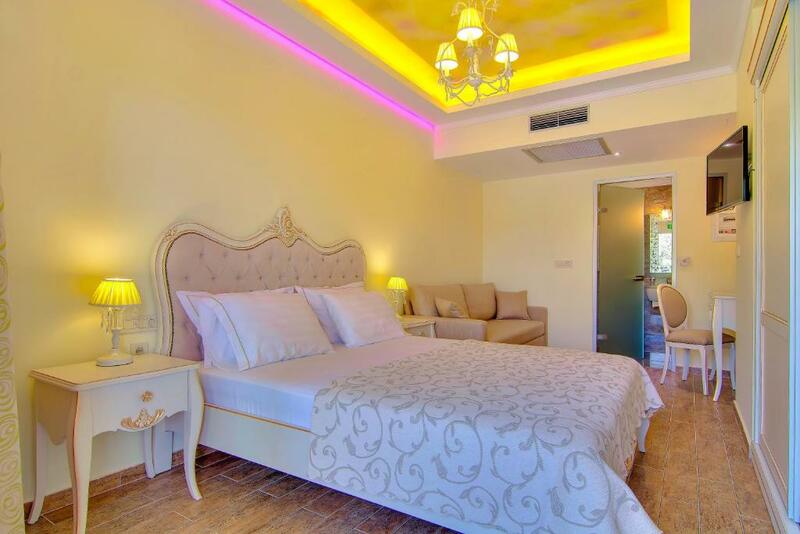 Enjoying sea, olive groves and castle views from its balcony, this air-conditioned room offers a kitchenette, 32" LCD TV with satellite channels, and private bathroom with hairdryer. Features elegant decoration and eco-friendly toiletries. Please note that a sofa bed is available only to some rooms and is subject to availability. Enjoying panoramic Ionian Sea and olive grove views from its balcony, this air-conditioned room offers a kitchenette, satellite 32" LCD TV, sofa and private bathroom with hairdryer. 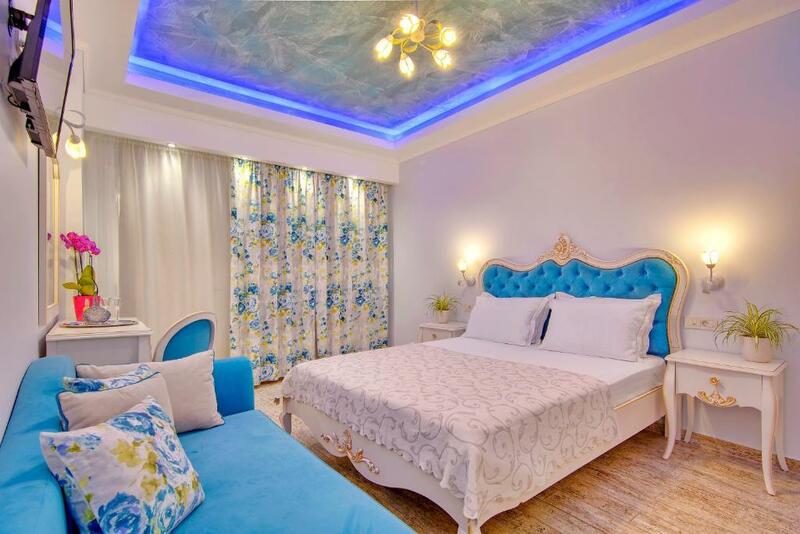 It features elegant decoration, painted ceilings and eco-friendly toiletries. Some rooms offer castle views. 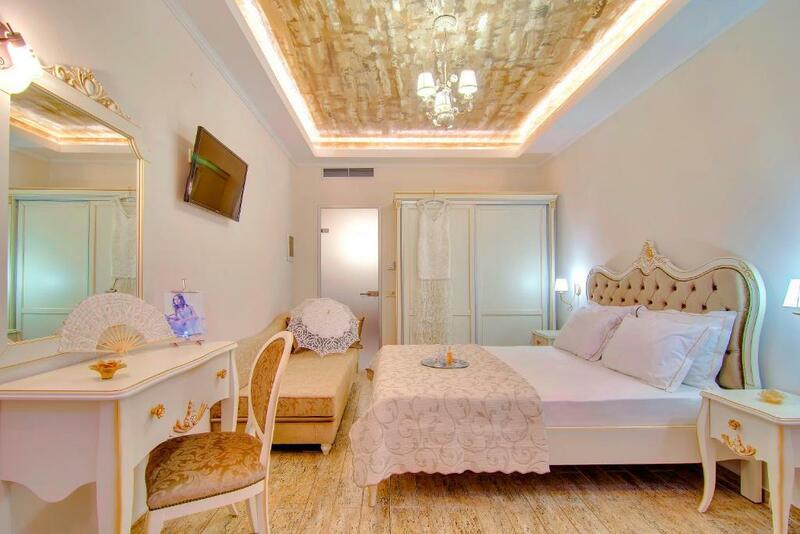 Enjoying partial sea and olive grove views from its balcony, this air-conditioned room offers a kitchenette, 32" LCD TV, sofa and private bathroom with hairdryer. It features elegant decor and eco-friendly toiletries. Some rooms offer castle views. Offering olive grove views from its balcony, this deluxe room is tastefully decorated with warm tones. It has a mini-bar, satellite, LCD TV and coffee/tea maker. Some units boast partial sea views from their balcony. The private bathroom comes with eco-friendly toiletries and hairdryer. Offering olive grove views from its balcony, this suite has a mini-bar, LCD, satellite TV and a kitchenette. Some units boast partial sea views. 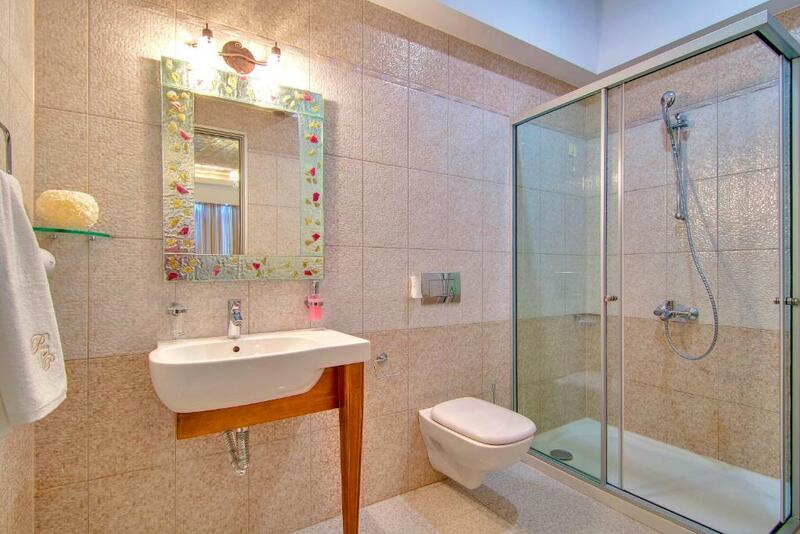 The private bathroom comes with eco-friendly toiletries and hairdryer. Tastefully decorated with warm tones, this suite enjoys sea views from its balcony. It offers 2 bedrooms, a well-equipped kitchenette and 2 32'' satellite LCD TVs. 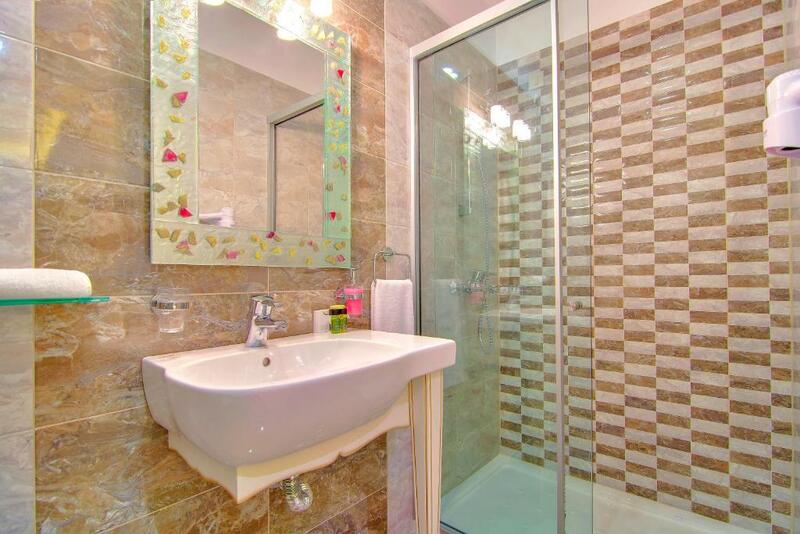 A mini-bar and private bathroom with ecological toiletries and hairdryer are also available. House Rules Hotel Parga Princess takes special requests – add in the next step! Hotel Parga Princess accepts these cards and reserves the right to temporarily hold an amount prior to arrival. Please note that the extra bed is sofa bed or a roll-away bed. Nice mini kitchen, but where were the cooking pans? I didn't enquire as we didn't cook in. Perhaps they were made available on request. Spacey and panorama from balcony. The location was perfect. The hotel very clean. Room accessibility problems, there are many steps and come with suitcases difficult to carry them. Nice location but a little uphill on your way back nothing too hard but not for all people, the matress could have been better but is the only thing that is not excellent into the room. The staff is very polite, and ready to help you, the location is nice, nice view, not far from the center. They have the cofee you need, very clean rooms. I would have prefered if there had been a bar and pool although it was only a short walk to faclities in another hotel which were available to use. The accomodation could not be better, the best I have ever stayed in, in Greece The location was great although it is very steep would not reccomend to someone who was not fit or disabled. The customer service was fantastic, great location!